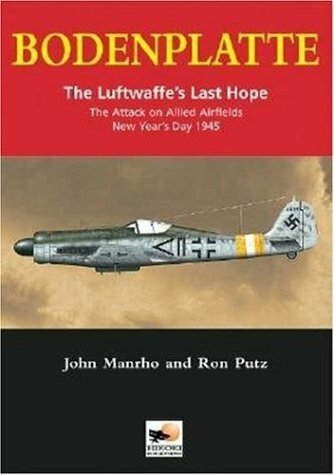 For those that want to learn more about this battle, the very comprehensive book Bodenplatte: The Luftwaffe's Last Hope by Manrho/Putz ISBN 1-902109-40-6 is recommended. There are some nice photos in After the Battle's 'Battle of the Bulge, then and now', though its not really the centrepiece of the book. There is a good shot of a lancaster on a forward airfield afire. Looks good, have to put it on my list.